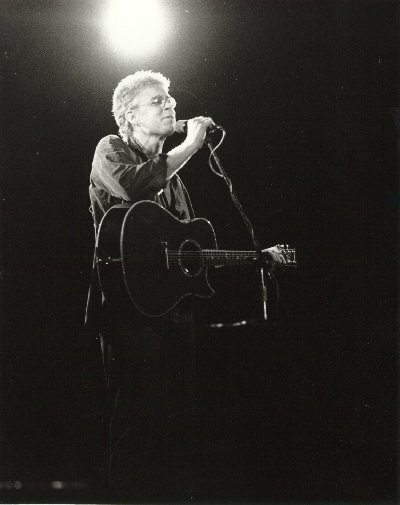 Details of the solo promotional tour Bruce undertook in late October 1983. October (?). Sydney (NSW). Finished "To Raise the Morning Star" (started in Toronto, ON, September). October (?). Performed Deer Dancing Round a Broken Mirror on Channel 9's Sunday with Jim Waley. October (?). Interview on Sounds (?) music program (Channel 7 ?). 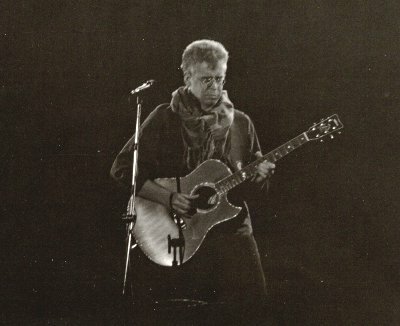 Performance of Waiting For The Moon. Tour includes first public debut of Peggy's Kitchen Wall. October ?. Adelaide Concert. Info someone please ? October ?. Concert at Mayne Hall, University of Queensland, St Lucia, Brisbane. October 26. Concert at the Camberwell Town Hall, Melbourne. Set List. Photos by Wayne Reid - They're Here! Eventually, just like I said! October 29. 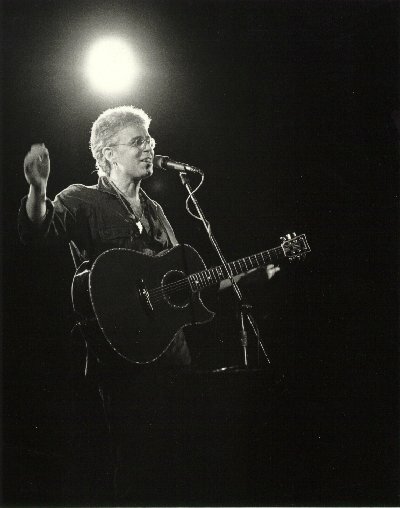 Concert at the Capitol Theatre, Sydney. Broadcast on ABC FM (broadcast date unkown). Set List as for Melbourne, but due to popular demand by the audience, Bruce plays a second encore including After The Rain and Fascist Architecture. Click here if you're interested in a copy of the tape.